Following continuous string of attentive updates, Hello Games took time to talk about their most recent No Man’s Sky patch 1.61 , as well as the Space Anomaly’s next community research mission. The mission sees those Atlas-bound hooligans Nada and Polo intercepting more anomalous signals from the echo of another apparent Traveler-Entity. This will require you to seek them out to uncover the nature of their mysterious existence. Quicksilver will be awarded to players upon completing the mission, which can be used to purchase exclusive collectables. Along with the No Man’s Sky research mission are two glamours placeable portraits of fellow Travelers Artemis and Null, because let’s be real, you don’t have many friends in space, okay? You could do with a few reminders that they’re out there. 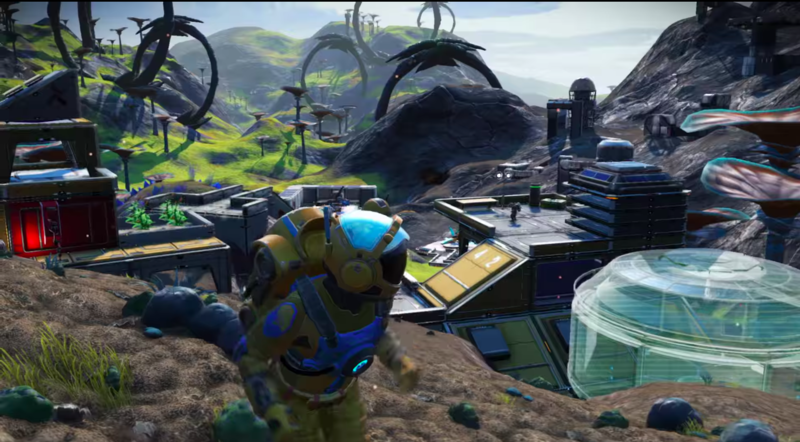 The No Man’s Sky patch will also give horticultural enthusiasts a chance to display three types of customizable tree varieties: fragrant fruit, spindle, and evergreen. Hello Games will continue to work on and supply players with further updates and missions. What stories have you got to tell about your No Man’s Sky experience within the Next update? Let us know in the comments, below!